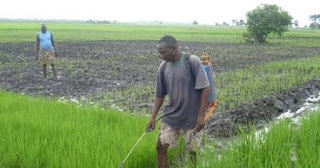 Benue State Commissioner for Agriculture and Natural Resources, Mr. James Anbua, yesterday said that the continued attacks and killing of farmers across the country by herdsmen poses a threat to food security in the state in particular and the country in general. Mr. Anbua stated this while fielding questions from journalists in his office in Makurdi, the state capital. The commissioner lamented that even as the raining season was by the corner, some farmers were still staying in the Internally Displaced Persons (IDPs) camps for fear of attacks by the rampaging herdsmen. He said that the farmers, who ought to have been in their farms preparing for the next cropping season, couldn’t go to their ancestral homes because their homes had been taken over by the herders. According to him, most of the areas affected by the herdsmen invasion in Benue were the highest producers of agricultural produce like rice, yam, guinea corn, millet, cassava oranges and sweet potato. He said that since they were not going to prepare their lands for cultivation during the 2018 cropping season, it then means that food security would be negatively affected. Anbua also disclosed that the crisis had adversely affected the 2017 harvesting period because it started when farmers were harvesting their crops especially rice and soybeans. ”We were expecting bumper harvest during the 2017 harvesting season but it became a mirage because of the January attacks and subsequent ones. Even those that harvested their crops like rice and soybeans were yet to thrash them. The attacks took place at the peak of the harvesting season,” he said.